Note for Lineage Training participants: this is the 2019 schedule for Lineage Training. While this full program is currently closed to new people, these retreats are still open to everyone. We invite you to learn more about current and future participation opportunities. As part of our ongoing training on the bodhisattva path, we will continue our study of the transformative text titled The Thirty Seven Bodhisattva Practices. We will be working with Pema Chodron's teachings on this text and the extensive teachings Sue has received from both Garchen Rinpoche and Anam Thubten Rinpoche. Lineage Training enrollees, as well as all other participants, are invited to read the translation and commentary we will be using in our lineage training: Reflections on Silver River by Ken Mcleod. This book is available for purchase in our bookstore at the Dharma Center. One-Day Meditation Retreats: These Saturdays will be conducted in silence with several sitting periods in both the morning and the afternoon. A mid-morning dharma talk will also be offered. Learn more and view a detailed daily schedule. You're welcome to attend all or part of the day, as your schedule allows. Bodhisattva Training Retreats: These Saturdays will be devoted to our ongoing Lineage study and practice. They will not be held in silence and will contain several teaching and meditation sessions, as well as interactive time for inquiry. 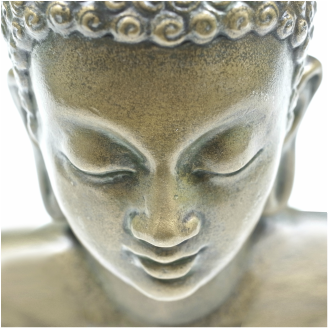 June 7-8: Bodhisattva Training Retreat with Jigme Wangdrak Rinpoche and Sue Kochan. Details to be announced soon. If you have any questions about these retreats, please email our lineage team. Note: On Saturdays that are not full-day retreats the Dharma Center is open from 9:00 - 11:00 am for meditation practice. See the Saturday sitting schedule. ​The 2017 and 2018 Lineage Training Video Archive is now available in the Lineage Training Resources. Work/Study and Scholarships are available. No one will be turned away for lack of funds. Contact our Lineage Team if you need assistance.